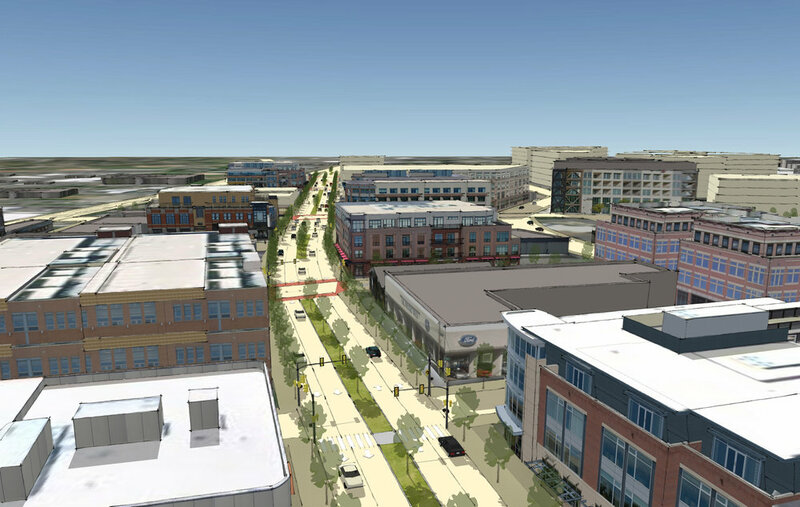 Fregonese Associates was the lead consultant for the City of Beaverton, Oregon, a first-tier suburb of Portland, to create a strategic plan for the city’s downtown revitalization and to provide for diverse housing and employment opportunities within a walkable environment. Building upon the recently completed citywide visioning process, Fregonese Associates conducted extensive public outreach, scenario and financial modeling, and developed final strategy documents for Central City, Citywide Land Use and Transportation, and Citywide Housing and Neighborhoods. These final documents all included a broad analysis and explanation of existing conditions along with a set of recommended strategies and near-term feasible projects to guide public and private investment and catalyze real change. The Beaverton City Council unanimously adopted the Civic Plan in April, 2011. Beaverton’s Creekside District Master Plan (Master Plan) builds upon the work of the Beaverton Community Vision (2010), the Beaverton Civic Plan (2011), the Beaverton Urban Renewal Plan (2011) and the Metro 2040 Growth Concept. This Master Plan is the result of a two-year intensive analysis, planning and public outreach effort, drawing up on the ideas, expertise and vision of many. The Master Plan and its accompanying Implementation Strategy lay out the investments, projects and programs needed to transform the District into a vibrant, mixeduse, transit-oriented downtown neighborhood, where people enjoy easy access to the natural environment, safe and reliable transportation and parking systems, and opportunities for jobs, housing and entertainment. The Master Plan was successfully adopted in 2014.